If you print to MCECS printers that can print two-sided (duplex), you can choose whether or not to print two-sided at the time that you print. This assumes you’re already successfully connected to one of our VPNs and and have configured your Mac to print to our printers via the Windows Print Server. 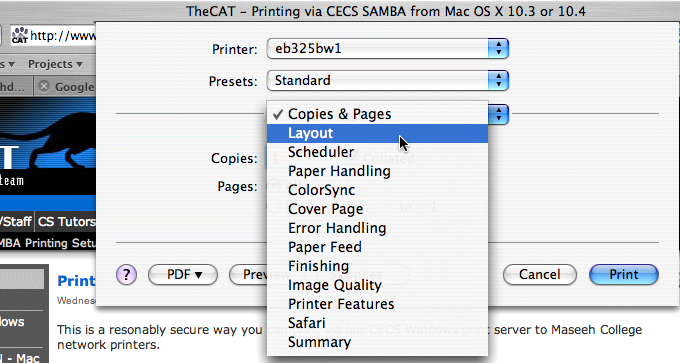 Step 1 – Choose the Print command from the application you want to print from. 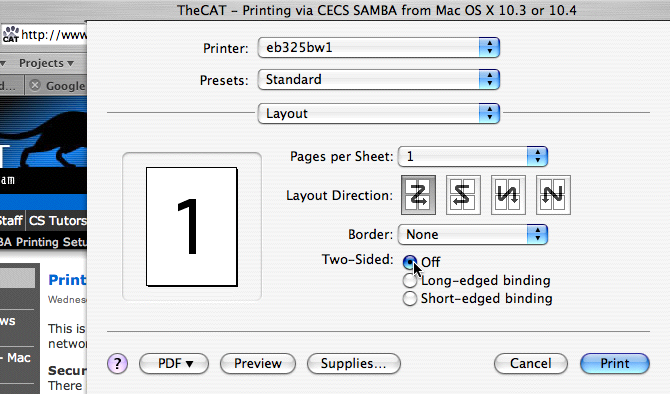 Step 2 – In the print window, choose the printer you want to use.